From the bestselling author of Blood and Money: A haunting true story of three people locked in a fierce struggle against time and the sea—and each other. In July 1973, Bob Tininenko; his wife, Linda; and his brother in-law, Jim Fisher, set sail from Tacoma, Washington, on a thirty-one-foot trimaran down the West Coast to Costa Rica. The journey was expected to take a matter of weeks, but ten days into the cruise, the party encountered a freak storm off the coast of northern California. When gale-force winds and fifty-foot waves capsized their boat, the voyage became a nightmare. For seventy-two days, the trio was lost at sea. Challenged by nature and compromised by a bitter rivalry, their courage and will to live was put to the ultimate test. Jim, the owner and skipper of the boat, was a devout fundamentalist whose recognition of God’s will in every event brought him into increasing conflict with his brother-in-law. As the two men battled to take control of a dire situation, Linda kept a secret that would lead to heartrending tragedy. 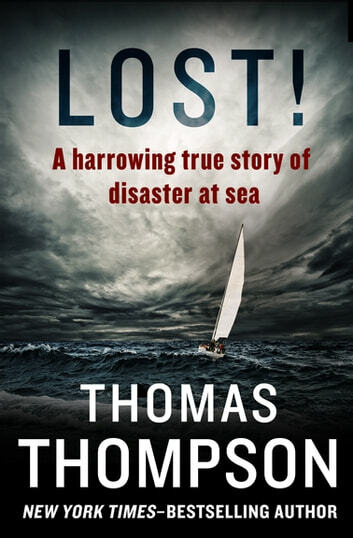 A “hair-raising” (Houston Chronicle) account of shipwreck and survival and a searing portrait of faith without reason, Lost! is an unforgettable true story from “a writer of tremendous power and achievement” (Detroit Free Press).